Throughout the years Oakland schools have been teaching European history to students of color. Did you know that in our school textbook the word gay only is written 2 times and only talks about the gay rights movement for 1 paragraph. Hello my name is Reyna Jauregui and my topic is discrimination in our own history classes reason why we need ethnic studies to empower students of color to help them succeed by them knowing their own history. The people with the privilege is the person that decide what the students have to be learning. I chose the topic of how history classes are discriminating people of color because as a female of color it affected me that I truly didn’t know my history. I had to learn it on my own time outside of school and it empowered me so much. I truly believe that more students knowing who they really are can help them. Also the moment i knew i had to do my topic on this was when I was in my AP english class and the students didn’t know the difference of latino, hispanic and xicanos in a class of mainly latinos, hispanic and xicanos. The first article that I read called “We teach racism, sexism and discrimination in schools” the author talks about how, He questioning that it’s not how we teach but what we teach. We teach white history to black people. The textbooks we use are teaching racism and sexism. It doesn’t directly say be racist and sexist but we use the same textbooks we use for years and they student’s impression that one group is better than others. Only has 1 paragraph talking about the gay rights movement. The textbook and gives the impression that black people were only slaves and only a small amount of black activist are worth mentioning. Also don’t mention all the great women throughout history. Its sexist that we only empower the men through history yet females contributed so much. Implying that the female is the weaker gender. Only get 1 chapter about the suffrage. We don’t teach all type of groups to the students like latinos, muslim or lgbtq community. They only mention some things like how the jews that ran away from the holocaust but don’t mention the discrimination faced when they migrated to the US. if we don’t teach the truth we will continue to create children who are racist and discriminatory. It will also empowers students. The second document is an academic sources called “ Ethnic studies courses to be offered at all OUSD high schools” it talks about how OUSD board voted that for next 3 years all Oakland schools will have ethnic studies. They will teach about Malcolm X, black panther party and Che Guevara. The course will give credits but it isn’t going to be on A-G requirement. They believe that their history will help the students get empowered. Helps students understand how society works. They want people who are truly passionate about ethnic studies to be the teachers. They want to build relationships and culture in classrooms. I was able to get a news article named “ Oakland school join others in california in requiring ethnic studies” it’s about how All ousd schools required to have ethnic studies. 50 years ago schools in SF protested and walked out so that we can establish ethnic studies. They wanted a curriculum that spoke to the students by addressing race, inequality and gives students opportunities. GIves students power and makes them believe they can be like our ancestors of activist like MLK, Rosa parks and etc. Academical achievement that they will grow in social emotional learning, self-efficacy, higher graduation rate and less dropouts. The last document was a film called I am Ethic Studies and it talked about how Normal curriculum classes aren’t giving the students the information that they need. They quizzed students about question of who are important people throughout history and important events and they didn’t know the answer. They ask students why is ethnic studies important to them and this what they said; they believe teaching people is seeing people’s different perspectives. It affects students and minority development to understand who they are and where they come from.Brings diversity in the community and also it’s important to know their own history because it tells us about ourselves. Racism still exist and these stereotypes that keeps us oppressed and informing ourselves can help me. 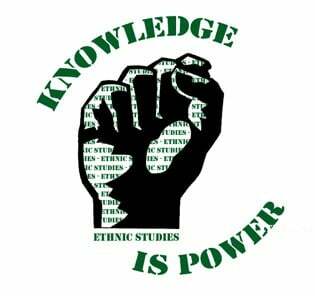 Ethnic studies is the story of any student that has ever been marginalized and disenfranchised. So feel free to give me as much advice as possible because i want to be able to turn in the best work i can do. I appreciate you taking your time to read everything and giving me your opinion. Feel free to ask questions. Discrimination in History classes by Reyna is licensed under a Creative Commons Attribution-ShareAlike 4.0 International License. I think what you writing about is great. You recognized something wrong in our schools and voiced your opinions on it backed with documentation and reasoning. I agree that every different race or ethnicicty not just certain ones that our picked by someone else. Everybody has a right to learn about themselves. I find your statement “They only mention some things like how the jews that ran away from the holocaust but don’t mention the discrimination faced when they migrated to the US.” super interesting because history has been re worded to make some groups look better than others so I liked that you included this. I’m interested to hear more from you about this subject! This was a very eye opening article that not only made me realize the bias in our history classes but also how little I know about ethnic studies. I remember going into my sophomore year of high school excited to take “World History”. I was looking forwards to learning about ancient Egypt and the Chinese dynasties, but soon realized that I would be strictly learning about Caucasian European history. It is awful that we dont get to learn about any other countries, especially those with a rich history. I am looking forwards however to the amount of courses available in College, but hopefully we can move towards diverse history in high school! P.S., I would check out this article, I think you would find it interesting! Your passage was one of the most powerful I’ve read. The comment that struck me the most was yours saying, “They only mention some things like how the jews that ran away from the holocaust but don’t mention the discrimination faced when they migrated to the US.” Every one of your statements was poignant and related to a diverse group of people existing right now in America. I can relate to this passage and the stories you tell, but in a much different way than you. I am not a woman of color, and I am not a follower of a minority religion. However, I am a member of the LGBTQ+ community and for a long while I wondered if what I felt as love was wrong. I find your statement interesting that it’s required for all schools to have ethnic studies, because, personally, I still feel like my school still lacks in that area. However, it is stated in https://www.pri.org/stories/2016-12-06/california-will-soon-provide-ethnic-studies-classes-all-high-schoolers-heres-why that California schools will begin to offer more of these courses because, “ethnic studies is not simply a history course detailing the achievements of members of different racial groups; the curriculum is conscious of and sometimes analytical about how race and ethnicity are intertwined with power.” Fingers crossed this happens!